A salon owner has banned customers from turning up in their pyjamas. David Finn (32), owner of the Style Bar in Portlaoise, Co Laois, said he took the decision to ban pyjamas in his salon after he walked in on St Patrick's Day to find three out of five women waiting on the sofa wearing nightwear. 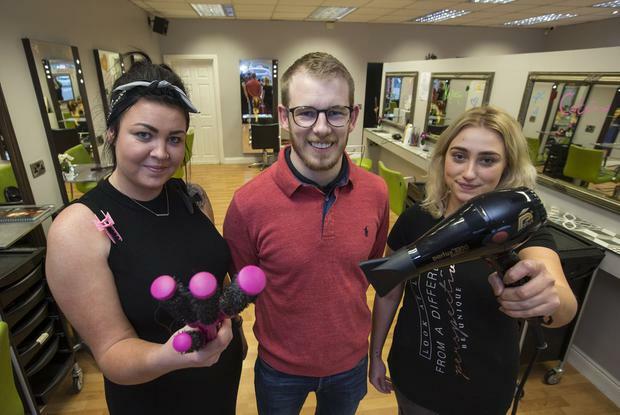 He said he had received a hugely positive response to his Facebook post over the weekend, in which he said that pyjamas were not allowed in the salon, which is a "place of business". Mr Finn said many people were urging other businesses to follow suit. He added that his staff won't take money "that comes from a bra or undergarments". Speaking to the Irish Independent, the businessman said: "Obviously, there's other people out there that think a different way than I do. But just from my point of view, I think it's very unhygienic." His decision to ban pyjamas was a topic of hot discussion on Joe Duffy's 'Liveline'. "I suppose the last couple of years, we have noticed a steady increase in the amount of customers coming in wearing their nightwear, and we felt we had to do something," he told the RTÉ show. He said he first flagged the issue in a Facebook post about a year ago, but followed it up with another one over the weekend. Mr Finn told the three customers on St Patrick's Day that his salon did not take customers in pyjamas. "We have had customers complaining about it over the years - now they haven't been major complaints, they've just been things said on the side," he said. But he said that in relation to his decision to ban pyjamas, "more so it was ourselves and our staff who believe it just wasn't acceptable to have people coming in like that". "Some women would have night-gowns on, dressing gowns on over them, some would be in slippers, some would have runners on, it varies," he said. "The ladies I am speaking about on Paddy's Day had nightgowns over their pyjamas. "We do from time to time have ladies who will take money from their undergarments, their bras and their socks and so on, so that leads to another issue and that's hygiene, and I wouldn't expect my staff to take that money from somebody." He said that his ban on pyjamas was on two fronts - because of hygiene and "it doesn't look well for our salon".